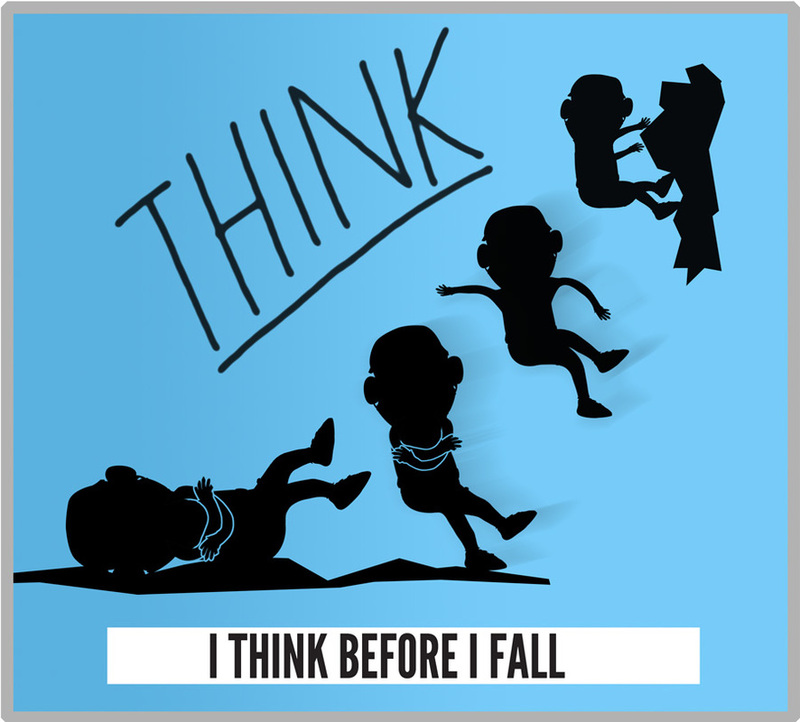 The Be Aware program teaches young children to make good choices to be safer in the climbing gym and at the crag. ﻿﻿﻿​The climbing gym can be a very exciting environment for young children. Energy levels rise as soon as they enter the giant indoor playground. Our Be Aware safety program teaches students to be mindful of their surroundings and choose safer zones. Through repetition and practice children learn to navigate a busy climbing gym and make good climbing practices a lifelong habit. In addition to learning specific climbing techniques, children will also exercise problem solving, self-regulation and listening skills. Children learn to recognize their limitations and choose appropriate grades and climbing heights. They practice critical thinking skills in order to make better decisions when climbing on playgrounds, trees, and rocks outside. But You Gotta Keep Your Head Up. Oh, Oh! Beginning climbers are brought on a controlled tour of the gym, pausing to talk about appropriate places to stand, rest, or climb. We point out employees and discuss who to contact in case of an emergency. Traversing games like "hot lava", "silent ninja", and "freeze climbing" are great for teaching kids to be respectful of others. With older kids, choose a problem and challenge them to find nearby problems that will not intersect or come to close to yours. You can remind climbers to "find your own space" before hopping on the wall. It's very tempting to climb in the sweet spot that your friend found! On the ground, "Hula hoop bubbles" and ring around the rosy give kids a visual and tactile understanding of how much space they need. It can be hard for kids to visualize slow without experiencing fast, or quiet without being loud. 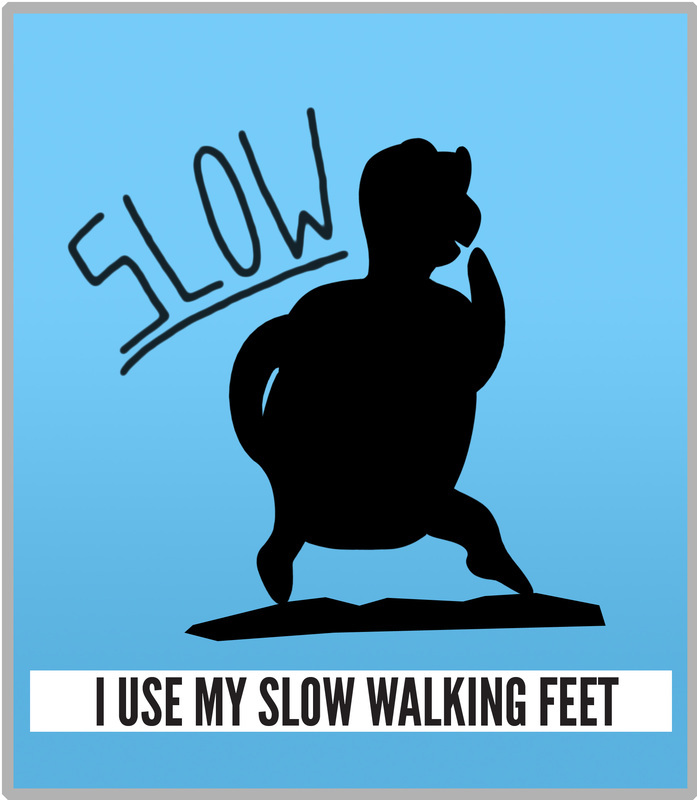 Songs that explore different types of movement, followed by a reminder to use "walking feet" can help. Find some fun movement songs on our Pinterest board. 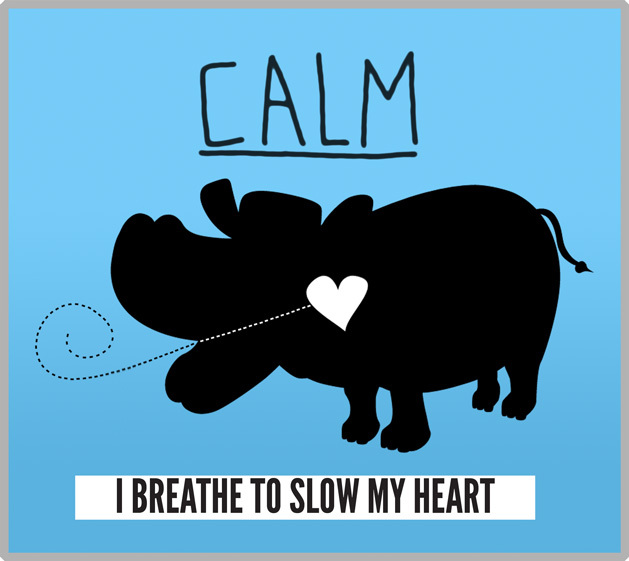 By incorporating breathing and self-regulation exercises into our lessons, students are taught to control their emotions and keep their speed down. 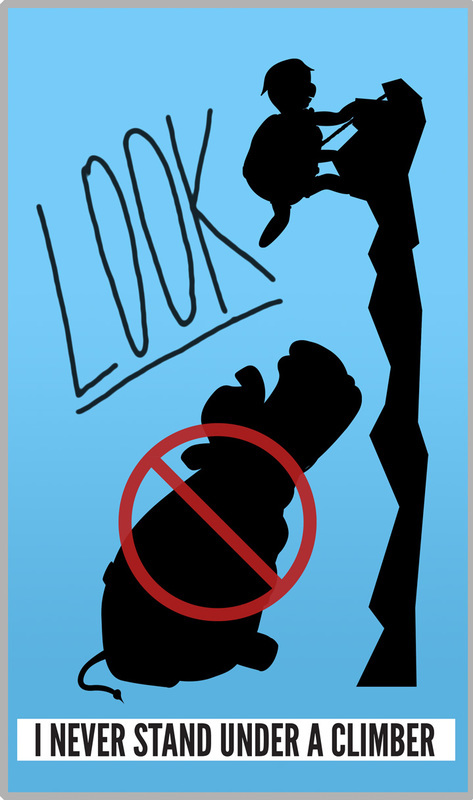 Based on the Alert Program (www.alertprogram.com) and adapted for climbing. Climbing games include vestibular, proprioceptive, and tactile input to help students remain calm in an exciting environment. 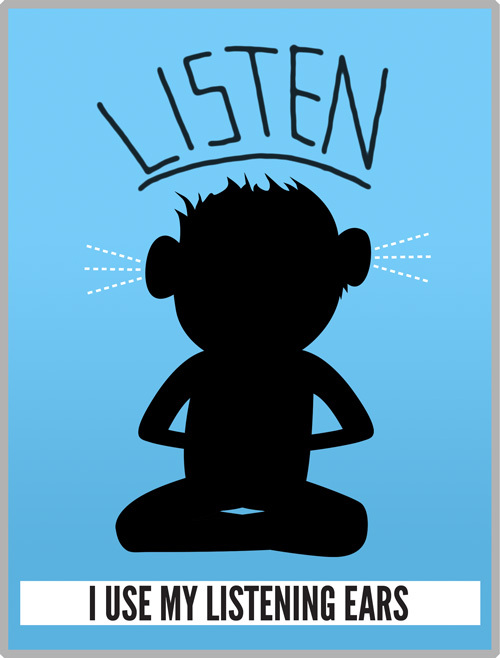 Find games to practice listening skills on our blog. While bouldering, children are taught to land on their feet and roll back when falling, thus absorbing the fall as in gymnastics and jiu jitsu. Students practice falling from a standing position and from a control height on the climbing wall. By practicing these techniques often they become second nature in the event of an unplanned fall from height. 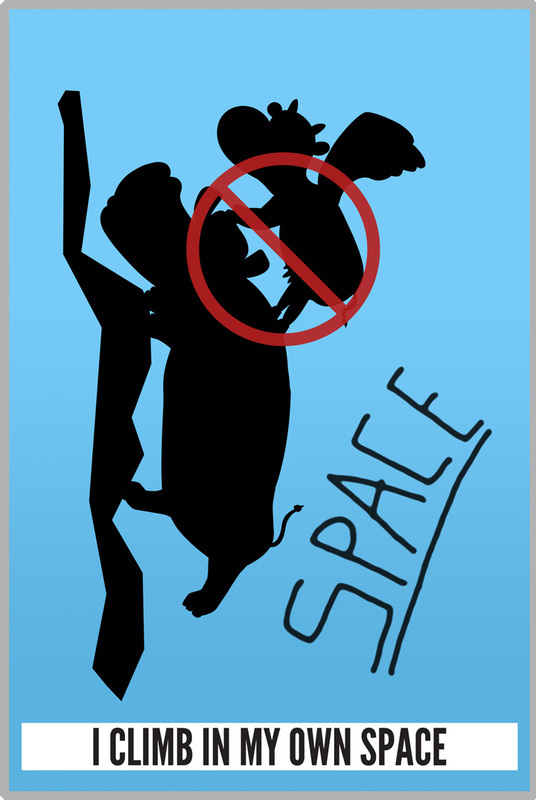 Wrists are protected by crossing the arms across the chest in a bear hug and children are encouraged to let go of the wall and land straight back and land on both feet to limit ankle injury. There are no “safe” bouldering falls but having a quiver of techniques & decision making skills can help to prevent injury. 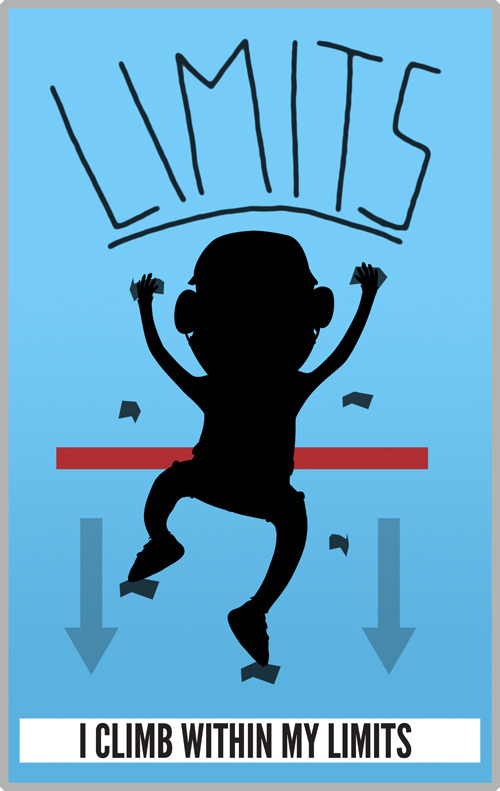 Find games to practice falling on our blog. The first skill that children learn when beginning a class is to climb down slowly. Songs and games help small children learn to climb to a comfortable height and then return to the floor with controlled movements. While on top rope or auto belay students practice “bunny hops” several feet off of the ground. By letting go with their hands and walking the feet down the wall in an L body shape, we can reduce the impact of the body on the wall during lowering. Climbers learn to recognize grades and plan for each climb before beginning. Taking a moment to read the route and assess the risks leads to stronger decision making on and off the climbing wall. Belay commands and partner equipment checks are used well before children begin to belay. They are taught to be responsible for themselves as well as their partners when they climb.